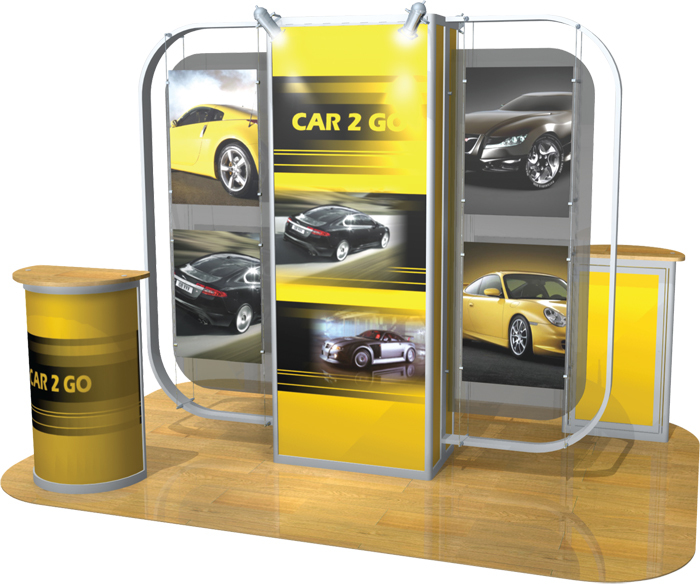 Impact Signs provide a complete exhibition stand service, from the initial brief you will be provided with stand design layouts and graphic designs. 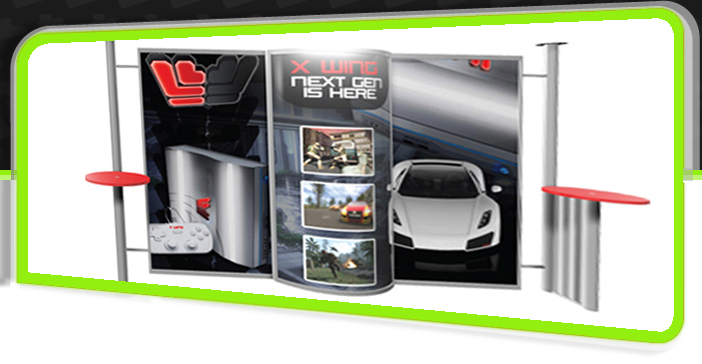 Once these layouts have been approved we create full colour scaled 3D images incorporating your approved graphics and showing you various views to fully illustrate your stand design. 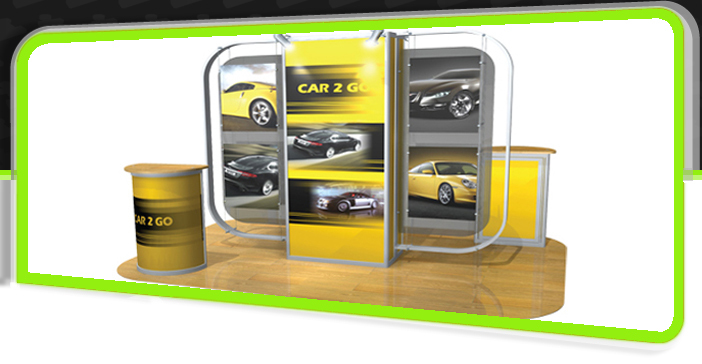 You have the option of either purchasing your bespoke stand or we can work with one of our hired stands. 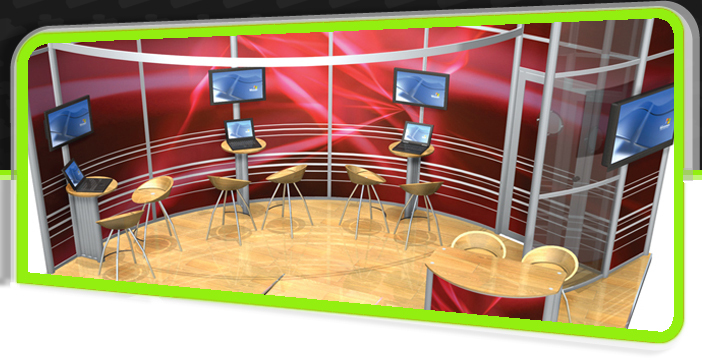 Included in stand installation we offer you a 40mm platform floor for hire, complete with carpet or vinyl floor covering. 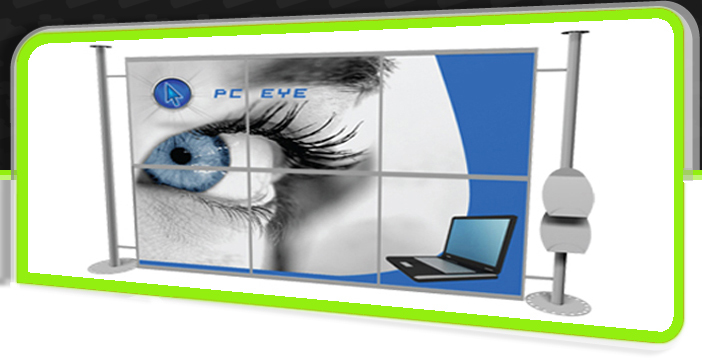 When the date draws nearer to your exhibition date there is no need to worry about installing your exhibition stand, our team of exhibition fitters will install your stand and ensure it’s left clean and tidy with all electrics in place and in working order. 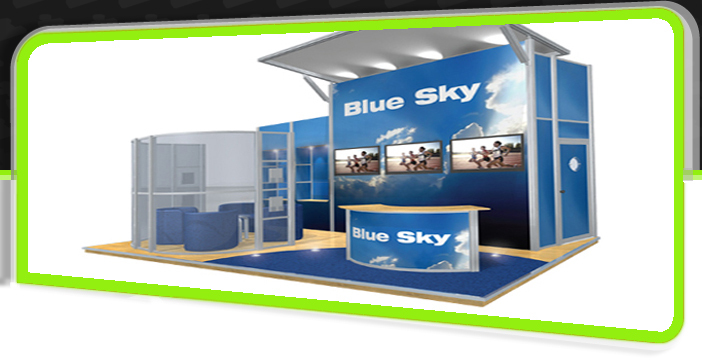 Our team will also be happy to layout your furniture, literature dispensers and product displays if required and include a print delivery service for all your brochure and printed materials. 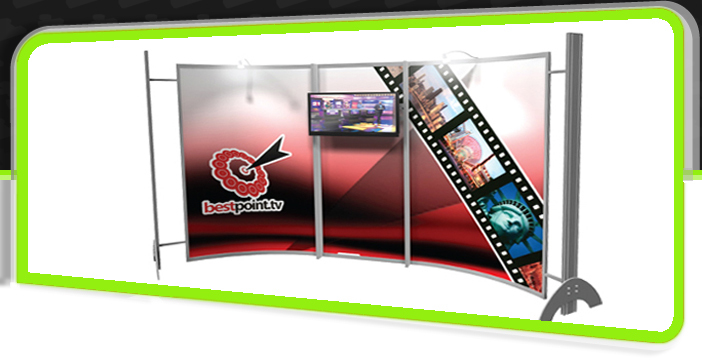 After the event Impact Signs will dismantle the stand and return it to our premises for storage or deliver to a customer address as required. 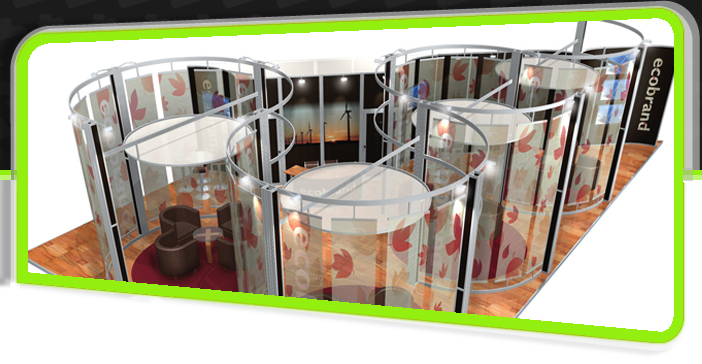 Why not take a look at what we can do!